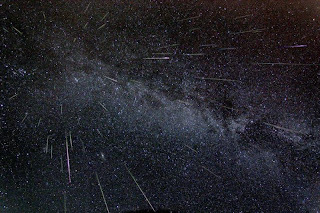 The Perseids Meteor Shower has been observed for around 2000 years, and are the result of Earth passing through a cloud of dust left behind Comet Swift-Tuttle. As Earth moves through this cloud, the particles fall into our atmosphere and burn up, creating spectacular streaks of light in the sky, known as meteors or shooting stars. This shower is named after the constellation Perseus, from which the meteors appear to come from in the sky. If you trace back the path of a Perseid, you will find that it appears to come from a point in the north east. The Perseids will peak this year over the next few days and, with good weather predicted for this week, it is the perfect chance to see the meteorites over Irish skies. In other astronomy news, if you look to the westerly skies during the twilight hours you may be able to see three planets in a cluster. Mars, Venus and Saturn are forming a triangle in the early evening as you face directly west. The three planets will appear as very bright objects in the sky. On Thursday, the crescent moon will join the three planets and will provide a great opportunity for a great photo! So much to see in the night sky at the moment! Great blog. One correction though. 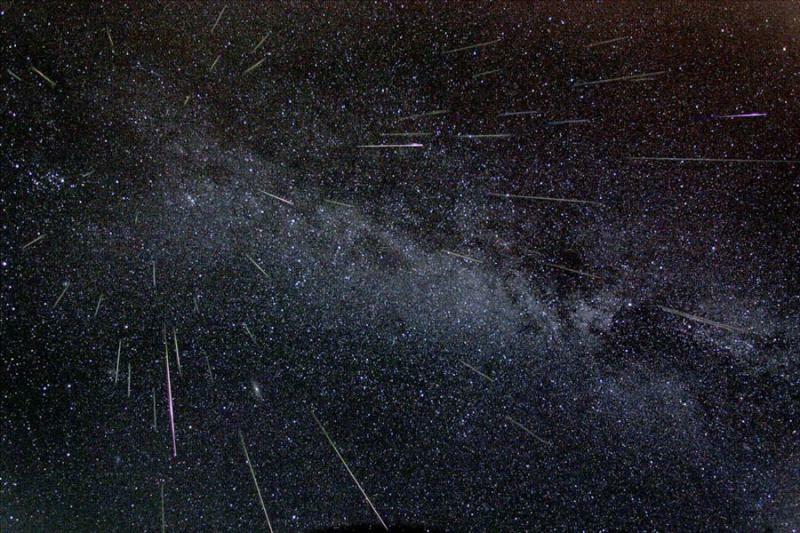 You say that this is the first year that the Perseid meteorwatch has been live on Twitter. In fact the first worldwide Meteorwatch was done by Newbury Astronomical Society (UK) in August 2009 - see http://bit.ly/9BzGAs. Newbury Society are tweeting the Perseids again this year and you can follow us @newburyastro or visit http://bit.ly/9NN7DL for images and information. My sincere apologies! Thanks for the comments and keep up your good work. I'll be following #Meteorwatch closely! Thank you for creating interest. I have not seen a pic of a meteor shower before to be honest, but after seeing this one I have spent hours looking at pics of showers on the internet and I certainly won't miss the next one.